For over fifty years, COGEBI has been involved in processing mica in industrial materials, without changing its valuable natural characteristics. As you read this article, you may find that some of the properties of mica could improve your own products. Please do not hesitate to contact us. We offer a wide selection of materials based on mica, each of them meeting a series of specific requirements and designed for a particular application. We will be able to determine the product best suited to your requirements. If we cannot find one, we will meet with your engineers to develop a new material to meet your needs. We take this approach, emphasizing direct contact, to adapt our products to the real world. It allows us to create the materials of tomorrow, today. Natural mica has exceptional physical characteristics. It can be found throughout the world, most notably in the presence of Paleozoic rocks. Accessible deposits are located primarily in India, on the American continent, in southern Africa and in Russia. The chemical composition of mica places it in the aluminum silicates group. 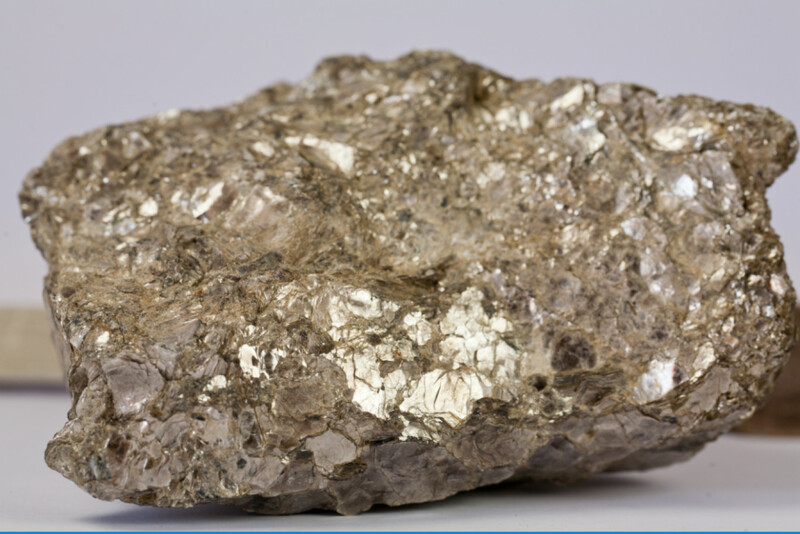 Two types are extracted for common commercial use: muscovite and phlogopite. Muscovite contains a predominance of aluminum. Its name originates from the large deposits that were exploited near Moscow during the Middle Ages. Phlogopite is similar structurally, but contains magnesium. Its name is associated with the Greek word for flame. As a sheet silicate (Phyllosilicate), mica has a special characteristic—it can be split cleft into very thin flakes of similar thickness. Their appearance is quite different, Muscovite being light colored, whereas phlogopite is dark. Muscovite is light colored, whereas phlogopite is dark. Both micas are chemically stable and are unaffected by water, most acids , solvents and mineral oils. Mica also has interesting physical characteristics; it is practically incompressible, and presents excellent tensile strength and flexibility. Furthermore, mica is incombustible and withstands temperatures up to 600 °C, or over 1000 °C (1830 °F) in the case of phlogopite. It is flame-retardant, non-flammable, does not give off fumes, and conducts very little heat, especially perpendicular to its strata. In electrotechnical fields, it is specially appreciated for its superior insulation properties and high resistance to heat. splittings to an appropriate substrate such as paper and cotton with the aid of asphalt or shellac. Because of the ever-increasing demand for mica-based insulation materials with higher performance, an entirely new technique evolved during the 1940s and 50s to produce a continuous sheet of pure mica, consisting of very small platelets that maintain their fundamental characteristics regardless of the reduction in size. COGEBI has perfected technology for the agglomeration of mica fragments to create a homogenous material in continuous production. The COGEBI process subjects the mineral to the action of a highly pressurized water jet, producing flat particles several microns thick, whose physical and chemical properties are carefully preserved. The resulting water slurry is fed to a special type of paper machine, which forms a continuous sheet of mica paper. At this stage, there is no need for a binding agent to hold the particles together, because their existing natural surface attraction is usually sufficient. We call this paper, made of 100% mica, Cogemica®. It can be made of either muscovite or phlogopite. Cogemica® has proved to be most valuable as a major ingredient in high-quality insulating materials. COGEBI uses papers of 100% mica as the basis for their range of products. 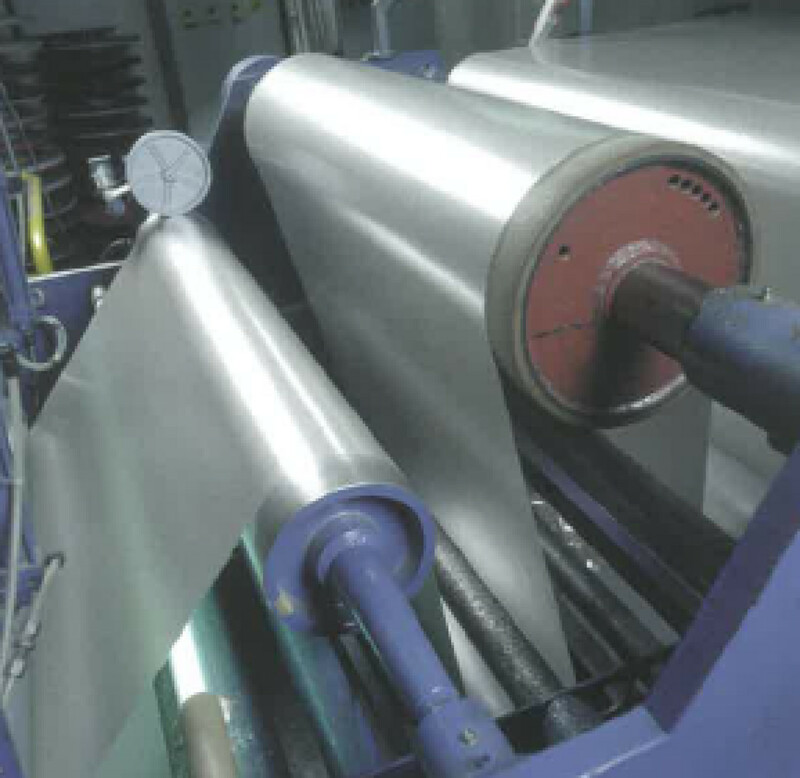 The mechanical characteristics of Cogemica® papers need to be reinforced before they can be used in industrial applications. We do this either by impregnating them with a binding agent or by attaching them to a backing (fabric or glass fiber cloth, for example). COGEBI produces mica paper with muscovite for applications having high electrical requirements, and with phlogopite where thermal performance is paramount. To alter the properties of the finished product, it is possible to subject muscovite to a process of calcination before the paper is manufactured in the normal way. This thermal treatment removes most of the crystallization water usually contained in the mineral which creates even smaller particles, producing a paper with different characteristics.